What was the Chris Ferguson $10,000 Challenge? - Casino Answers! Casino Answers » Poker » Players » What was the Chris Ferguson $10,000 Challenge? What was the Chris Ferguson $10,000 Challenge? Chris “Jesus” Ferguson can be one of the most intimidating poker players at the table. He may not look intimidating with his long hair and traditional cowboy hat, however when it comes to number crunching there is nobody better. While many of the famous poker professionals are known for their love of all things gambling, Chris Ferguson is still one of those “pure” poker players who plays because he loves the game. When the online poker room Full Tilt Poker launched, Chris Ferguson was one of their flagship pros. In 2007 Chris Ferguson decided to start a challenge on Full Tilt Poker, where he would start with a bankroll of exactly $0 and build it up to $10,000. This seems like a completely crazy stunt and something that doesn’t even feel possible. Only a person with an extreme belief in their abilities would even attempt such a thing. Was this just some sort of publicity stunt? Nope – it was Chris Ferguson simply wanting to demonstrate to the poker players how important bankroll management can be to a poker player. Ferguson started the zero to hero challenge with nothing but a Full Tilt Poker account. He played Full Tilt freerolls beginning in 2006 – freeroll tournaments are tournaments where you can win a cash prize without having to buy-in – and slowly built up his Full Tilt bankroll. 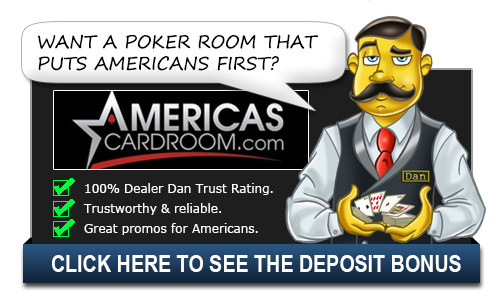 – Would not buy into a cash game or mini tournament(S&G) for anything more than 5% of his existing bankroll. – When it came to multi-table tournaments, which he is best at, he wouldn’t buy in for anything more than 2% of his existing bankroll. – If he ran hot at a NL or PL table and had more than 10% of his bankroll sitting in front of him, then he would force himself to leave the table. These were very strict rules, and it took a lot of perseverance for Ferguson to get going. In actuality, it took almost a year for his bankroll to sit at around the $6.50 mark. Ferguson remained defiant that he could complete his challenge however, and continued to practice this amazing bankroll management. His first big jump was in November 2006 when he placed 2nd in a $1 buy-in tournament which boosted his bankroll by over $100. Chris Ferguson continued to play and would eventually reach the $10,000 mark in September 2007. One thing we need to note if you are looking to do your own type of Chris Ferguson challenge – this has obviously proven very popular, and now Full Tilt Poker freerolls are a lot more disciplined and busy than previously. And what did Chris Ferguson do once he hit the $10,000 mark? Immediately donated the money to charity. Chris Ferguson. All class.